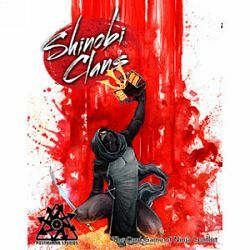 As a ruthless and cunning shinobi clan master, you lead your team of ninjas on secret missions that decide between life and death for dangerous ronin, noble daimyos and powerful shoguns. Recruit the most skilled assassins, arm them with the deadliest weapons, and devise plans that will outwit your rivals on your way to becoming the most feared and prosperous ninja clan of them all! Until the final reveal, your clan's actions and motivations are shrouded in mystery. Can you throw the other clans off your trail while getting the job done? When the smoke clears, your schemes, ambition, and skill will be evident – but will they prevail?